Powering tens of thousands of websites for over 9 years. Templatic offers you 90+ professional Premium WordPress themes and 50+ WordPress plugins to help you power and monetize your website and all come with top-notch support. Building easy to use and customizable Premium WordPress themes is our passion. 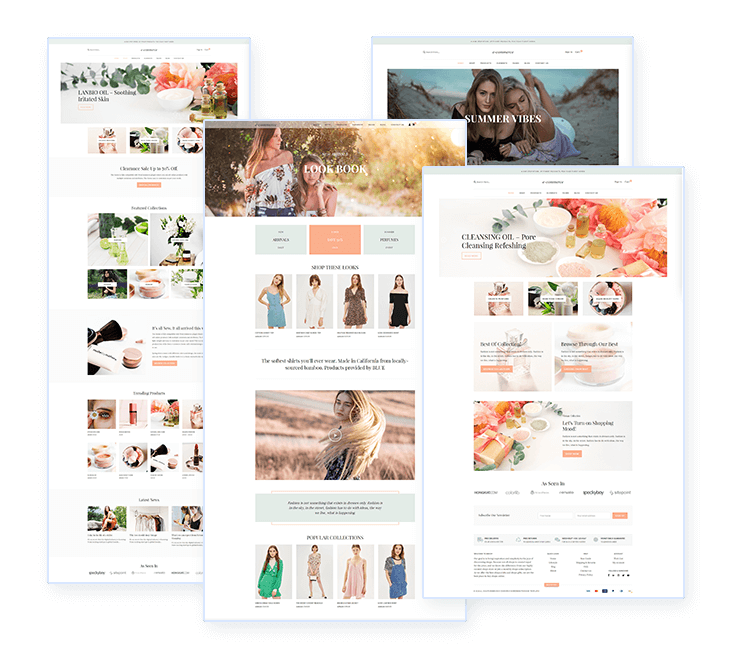 This is a conversion optimized WordPress eCommerce theme to create a clean, modern looking eCommerce website, effortlessly. 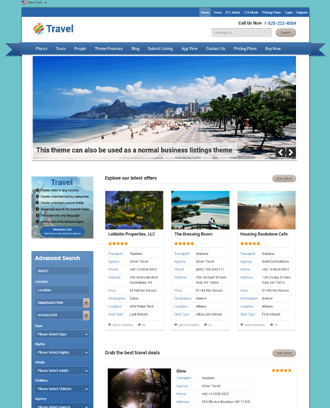 It is a logically built theme that keeps your products in the center. The navigation, the pages, and the processes are designed to facilitate the buyers to find the relevant product and buy them easily. 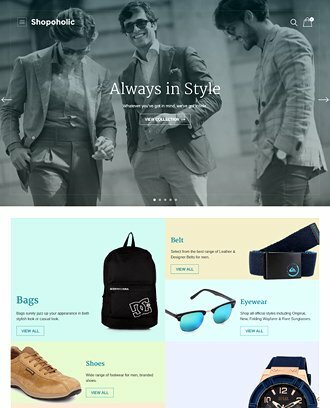 Sell any kind of products with this multipurpose ecommerce theme powered by WooCommerce. 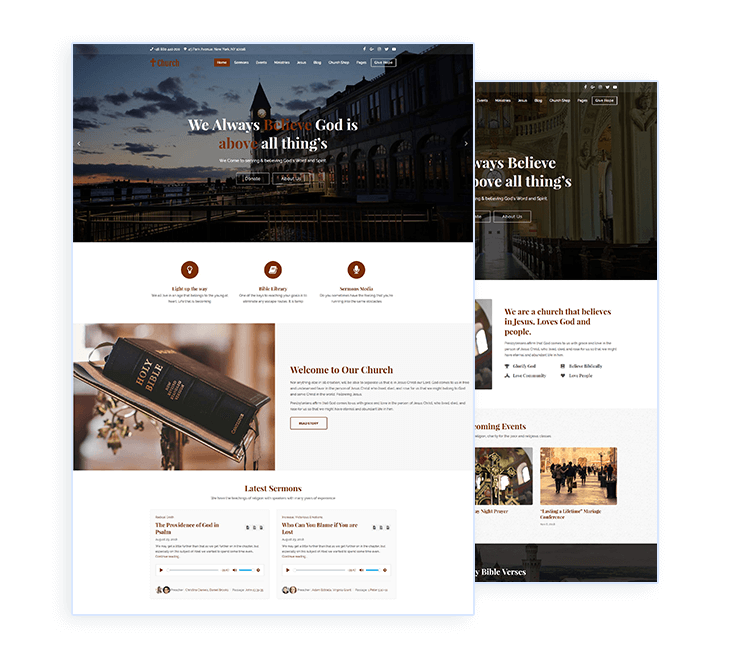 Introducing a modern, flexible & super easy to use Church WordPress Theme to create an impactful Church website that delivers your message. This Church WordPress theme is a complete package of all the features and a serene design to help you get started with your Church website in minutes. Accept donations, host event listings, list sermons, blog, sell, all with just this one theme. "Off the Shelf" Directory theme most flexible according to my need. The theme took a while to get used to, but the support team was on hand to help, delivered an excellent level of customer servicehelps you personally to implement the advice. Why Should You Choose Our Premium WordPress Themes? 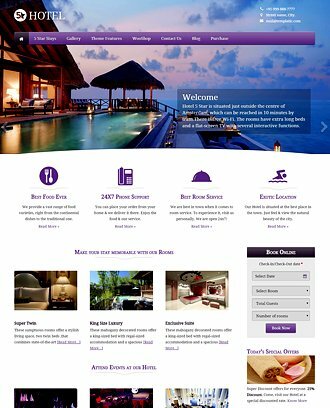 Our vast collection includes themes for event portals and responsive business directory themes, travel agencies and tourism business themes, online booking and ecommerce themes. Our collection also includes visual composer themes, magazine, one page, and multi-purpose portfolio themes. Join our themes Club and download and Install 99+ Templatic themes on unlimited domains. Members also get new themes we release. Your theme search stops here. Our collection of themes includes something for everyone. Get 1 year of free support with our themes. Renewal for another year is totally optional. All of our Premium WordPress themes come with open source code. Full access to all theme files. Get loads of traffic for your website with our SEO optimized WordPress themes. Not sure which theme to buy? No problem, request a test site for any of our themes here. All of our themes include 1-click install. You could be up-and-running in minutes. Each theme comes with sample content. Press 1 button and your theme looks like its demo. Over the last 8 years Templatic themes have been powering tens of thousands of websites. Remove our credit from the footer and add your own. Where others charge for this, we don't. Our collection includes many responsive themes. These will look great on any mobile device. Wondering how to start a blog? No problem, all Templatic WordPress themes include a blog. Translate our Premium WordPress themes into any language. Some offer WPML and RTL support too. We build app themes which are more advanced and powerful than regular WordPress themes. We develop themes for you. Customize logo, footer credit, menus, text, categories and colors. Quickly have a professional looking website . Our themes let you concentrate on your business. Customize the locations and currency. All of our Premium WordPress themes can be used in any country. Directory theme is ideal for creating an online listings directory. Includes custom post types, membership packages, geolocation, Google map search, unlimited searchable custom fields, advanced search and more. This WordPress directory theme comes with hundreds of built-in functions. 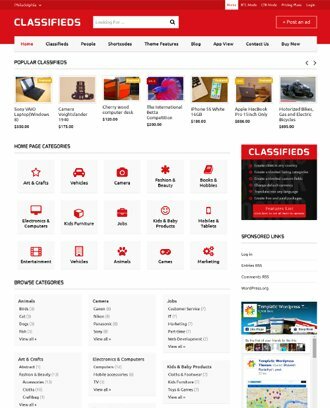 This is a very powerful Classifieds theme for WordPress. Includes many customizable search options, monetization and classified ads submission packages. As with all of our directory themes, you can add your own categories, packages, menus and customize fields from the dashboard. Create a powerful events portal for event organizers with Eventum. 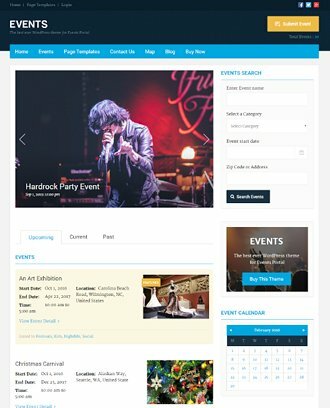 This events WordPress theme helps you create, manage and monetize your events directory site for literally any purpose. Includes all the powerful options from our Directory theme plus it comes with its own event functions. 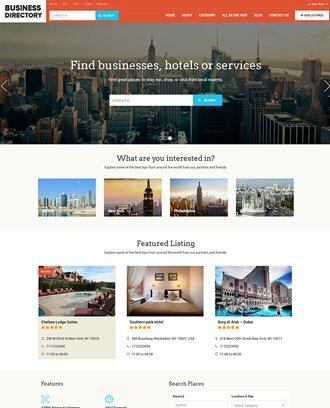 Create AirBnB clone design. Use this Directory child theme to create listing website for anything from rental accommodation to local businesses. With focus on maps, this listings theme comes with customizable categories, menus, search and packages so you can use it for any niche directory. 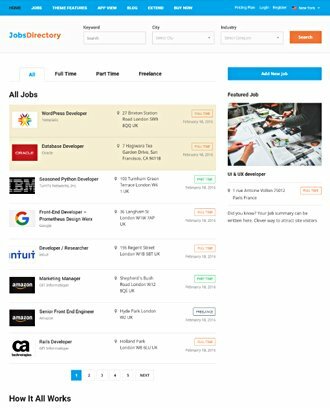 Create a powerful WordPress job listing directory site. Ideal for job recruitment or employment agencies to post job vacancies. Includes many options for job advertisers and job seekers. Add your own categories, fields and packages. 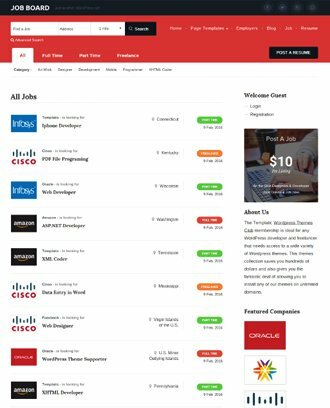 This responsive job board theme is highly customizable. 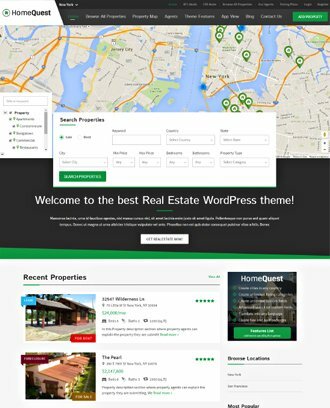 HomeQuest is one of our best and newest real estate WordPress themes. This is perfect if you want to create a property website or real estate classified ads directory. 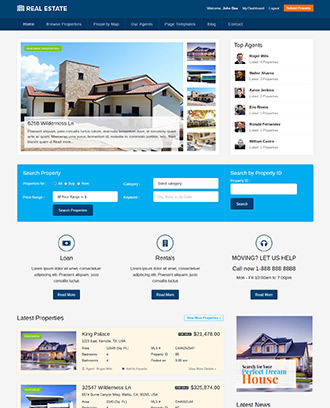 Use this theme as an estate agent to only advertise the properties on your portfolio or open property listing submission. 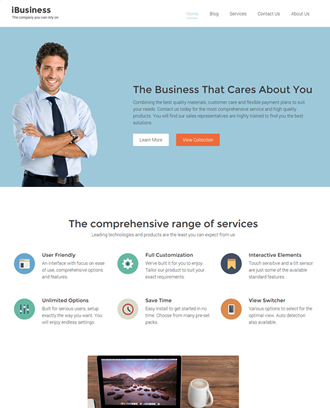 This is one of the best business directory themes available. GeoPlaces offers you the chance to have your own local business listings directory at a very affordable price. 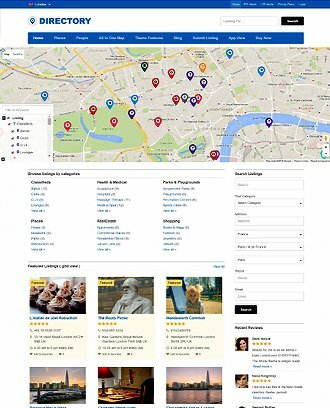 This responsive directory theme has both free and paid packages and includes an events directory as well as places. 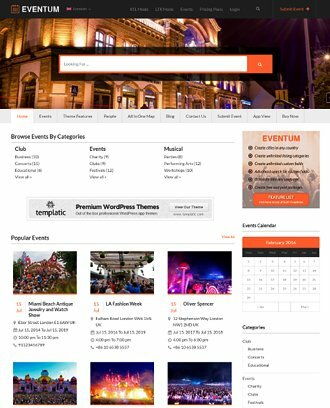 A powerful responsive events directory theme packed with loads features. Allow event organizers to submit events on free or paid payment packages. This is one of our easily customizable and simple to use event themes. Create your own event categories, add custom fields. Allow estate agents and homeowners to submit properties for rent or sale. 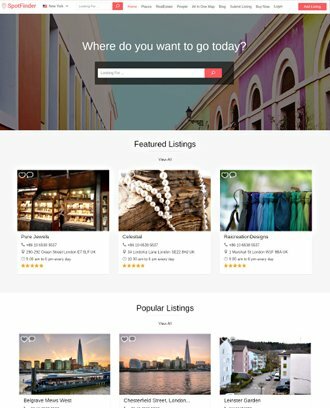 This IDX/MLS compatible real estate classifieds theme is unique and powerful in the features it provides for you to launch a successful property listings site. Comes with hundreds of built-in features and tweaks. This is another one of our top WordPress business directory themes. Includes all built-in functions of its parent theme Directory so you can launch a powerful business listing website. The elegant design and hundreds of options and tweaks will ensure you build a profitable directory. 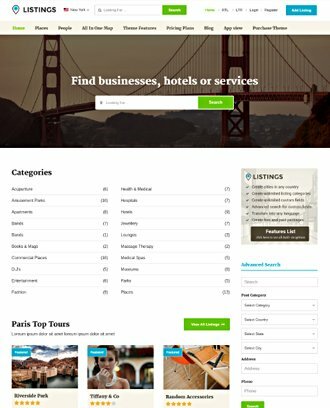 Designed for creating business search directories, the powerful listings theme doesn't just come with all of its parent theme's functions. Listings also lets businesses upload a header background image to their listing. Ideal for creating a business reviews and rating directory website. Wish travelers a bon voyage with the powerful Travel theme. Best suited for travel directory websites, travel agencies, tour operators. List destinations, tours, holiday packages. Travel includes advanced search, listing submission and link for travel booking on external booking engines. Cuisine is designed as a theme for restaurant directories. As all of our Directory themes, Cuisine comes with customizable categories, fields, submission packages, menus, currency and cities. 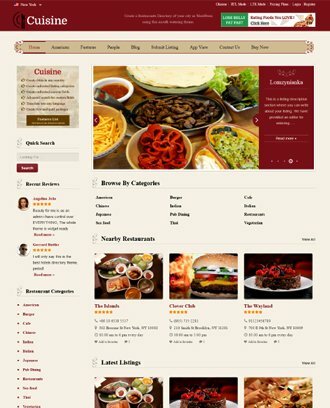 Use this theme to launch your very own restaurants directory with ratings and reviews. The perfect choice if you're looking for a script like Yellow Pages. Easy to setup, customize categories, text, menus, submission packages and form. This theme comes loaded with many powerful functions. 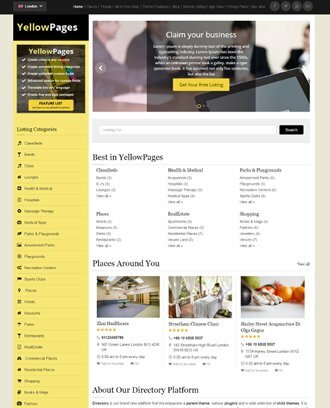 Use to build a local, nationwide or international Yellow Pages style directory. An ideal rental properties theme which is ideal for vacation property owners to promote their rental villas or apartments online. 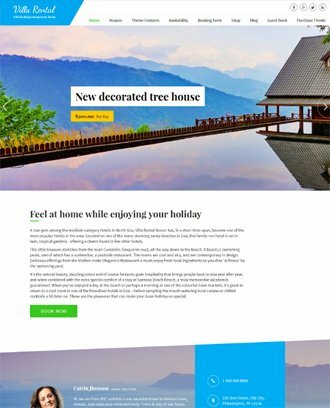 This responsive Vacation Rentals theme that comes with many powerful rental features such as a booking system and an availability calendar for online booking. This is another one of our beautiful rental accommodation booking themes. Use the Villa Rental theme to promote and offer online booking for holiday villas, rooms, apartments, cottages or any vacation property for rent. Includes an availability calendar, room or property price rates and more. As part of our collection of online accommodation booking themes, 5 Star is a great choice. 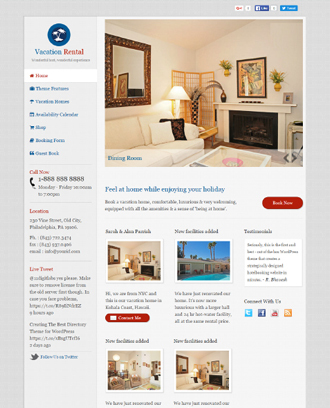 Use this theme for booking for hotels, bed and breakfasts or even hostels. 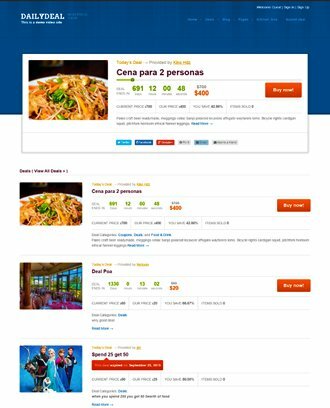 This is a very easy to use booking theme, customize categories, add new listings, set the prices and you're ready. I have used the Templatic Theme SpotFinder.There are not many themes of these type available on the internet, with professional code and fully editable.I found the support excellent, the Templatic support team were always helpful and resolved all our queries and problems.I can honestly recommend Templatic Themes and services. 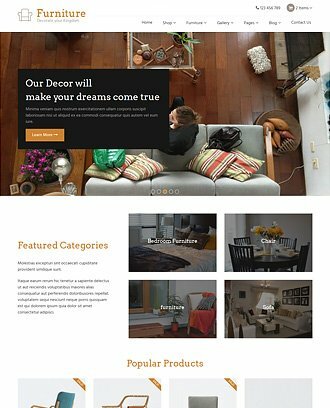 Launch your online shop with the easy to setup Luxury theme. Ecommerce theme – Easily create a multi-purpose open cart site to sell your products online. This coupons theme comes loaded with many functions for deal and coupon websites. Daily Deal includes, digital product and email print deals. Also included is an affiliate module as well as custom link deals which can be used for products on Amazon and CJ (Commission Junction). Need to launch your own questions and answers website like Yahoo answers or Quora? This is the perfect match. 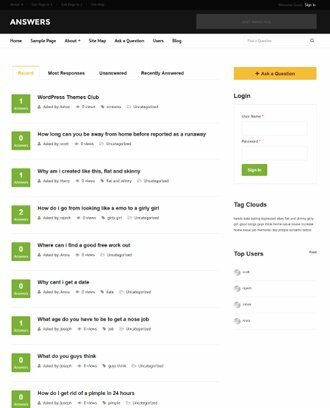 The Answers theme lets users submit questions and others can answer with votes on best answers. This theme is easy to use and it also lets you charge for posting questions. This is an ideal theme for authors, writers, publishers or book shops. 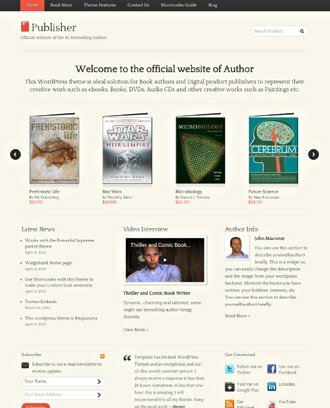 Easily sell eBooks, digital goods with the responsive book author WordPress theme. Create an e-commerce website to also sell digital products such as stock photography, audio files, videos or media files. 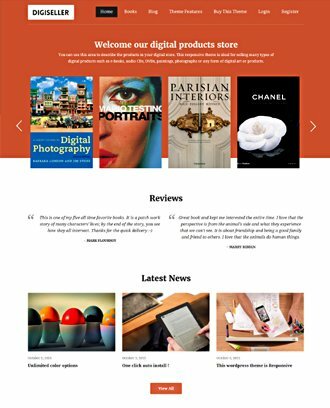 Sleek, mobile friendly and responsive, it's an ideal ecommerce theme for selling books or digital products online. This WooCommerce compatible book author theme also comes with its own ecommerce module which you can use for your online book store site. Includes many powerful features. 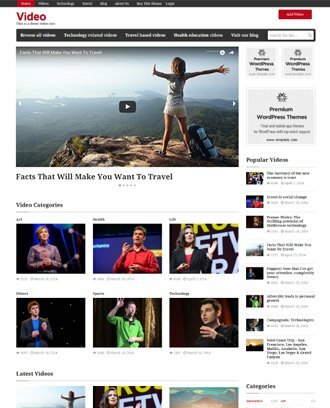 This video WordPress theme is responsive and ideal for launching video websites like Youtube. Customize categories, menus and text and use to create a video blog or allow users to submit videos or share them from other video websites like Youtube, Vimeo, DailyMotion and more. This is one of our visual composer themes that's ideal for businesses, companies or even personal websites. This drag and drop theme is super-easy to customize with its front-end website builder. Change elements, text and images in an instant and see the changes in real-time. 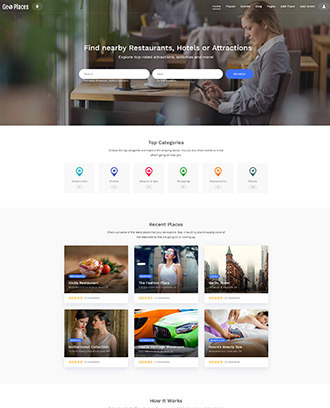 Our collection ranges from listing directory themes, real estate, job board and classified ad themes to business templates, hotel reservations and appointment booking themes.